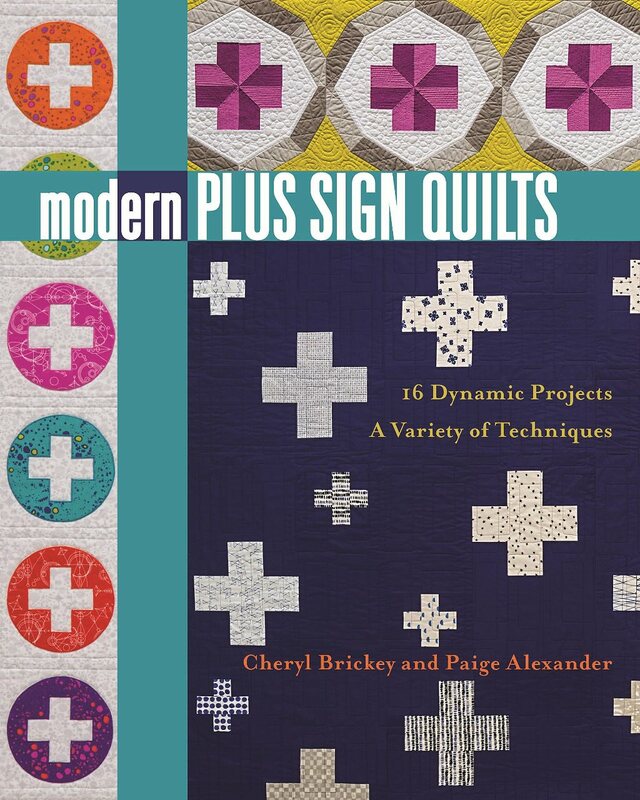 The much anticipated wait is over and the book, Modern Plus Sign Quilts, is out in the real world. Cheryl and I hope you enjoy making the 16 projects in the book as much as we did. 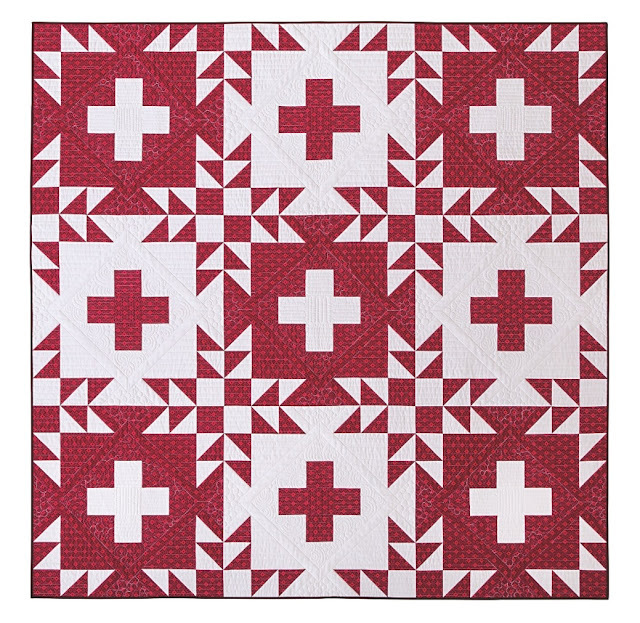 Bear Claw Plus was designed by Cheryl, pieced by me and beautifully quilted by Johellen George. I just love the secondary pattern formed when the blocks are joined together. Foundation paper piecing... like Kaleidoscope Plus designed, pieced and quilted by Cheryl. And, of course, my favorite... applique. This is Cute as a Button which was designed and made by me. 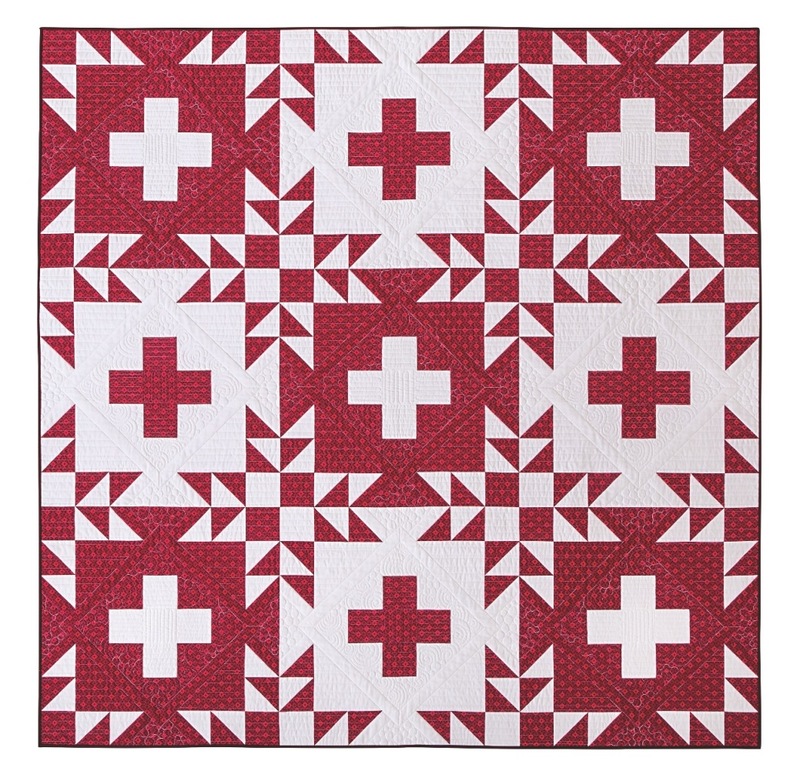 Until you can get your copy of Modern Plus Sign Quilts, head on over to the C&T Publishing Blog where you will find a free tutorial for Candy Plus, a 20" block design which can be made into a pillow, mini quilt, or incorporated several blocks into a quilt. My version is made from Cotton and Steel prints and two solids, Kona Snow and Michael Miller Cotton Couture in Cream. 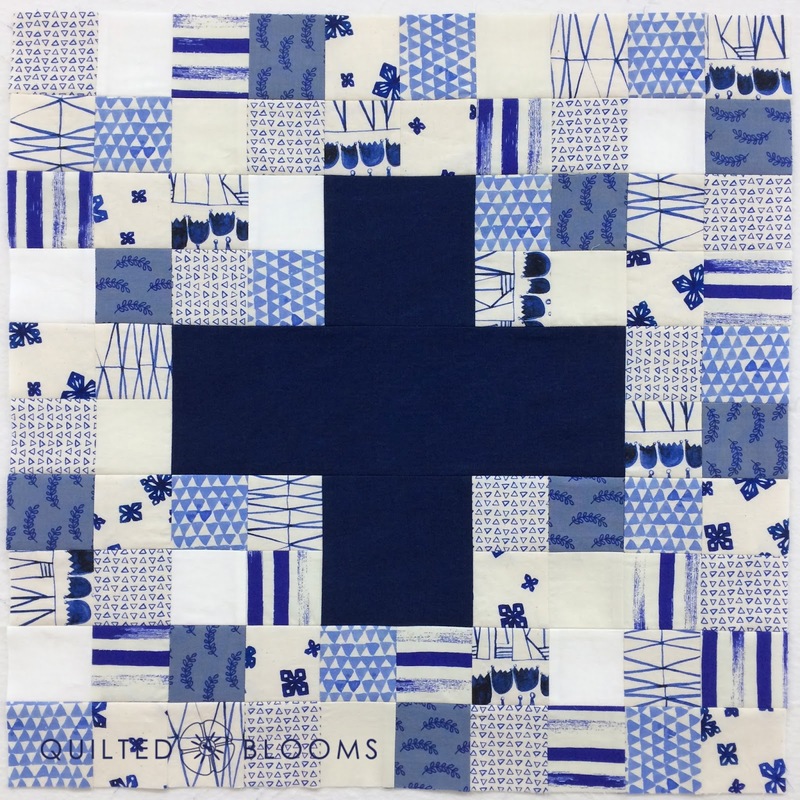 The plus sign is made from my cherished Indigo dyed fabric from the class I took with Maura of Folk Fibers at QuiltCon 2017 in the Savannah at SCAD. The tutorial can be found here and Cheryl's original Candy Plus can be found here. Cheryl is offering two more plus sign designs when you sign up for the Meadow Mist Designs newsletter here. And stay tuned because on Monday, March the 12th, the Modern Plus Sign Quilts Book Hop will be kicking off. We have 40+ bloggers joining us! Each of the bloggers will be sharing a version of a book quilt they made and there will be prizes for each day of the 10 day hop. I hope that you will follow along! I received my copy of the book yesterday. I love it! It is making wish I had signed up for the hop, but things were too crazy in my life last year (still haven't calmed down enough for me) maybe next time. I recently got the book too, Paige. So many fun quilts within the pages! I have a fabric bundle that has been waiting for the perfect pattern, and I think I found it in your book! Now I just need to find the time to get it done! Love that plus pillow, off to check it out! I have my copy, too! I love it! So many wonderful quilt patterns it will be hard to choose which one to work on first! Congratulations to you and Cheryl on a job well done! It seems like a long time coming, and I am sure, longer to you. It looks fantasticc and I really love the Cute as A Button quilt. Right up my alley (when I have time), hand applique is one of my favorite techniques. Congratulations to you both. A long time planning, designing and quilting, this is a reason for celebrations.Love your block in blues, and what a super size. congratulations to Cheryl and yourself. A great achievement and some great books. This is on my wish list, uk mother's day is coming up soon! Big time congratulations to both you and Cheryl! The book is beautiful and I can't wait to share my runner! It's going to be a great blog hop. I did some sewing last night, and I was pleasantly surprised at how quickly the pattern sewed up. Can't wait to finish piecing it all together this weekend. So wonderful Paige, and well deserved success for you both. I am so looking forward to the hop, my quilt is layered and the quilting begins tomorrow, I hope you like my version. There are so many great quilts in this book, Paige. I just have to add the binding to my hop quilt and I'm already planning another one from the book. 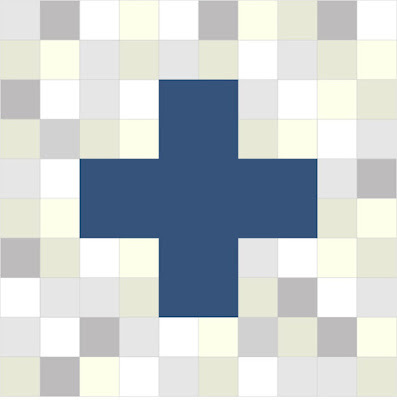 With all the extras that I've seen floating around - patterns that didn't make the book - it looks to me like you guys could easily come up with Modern Plus Quilts volume 2... wait, is that happening? :-) Enjoy Quiltcon! I love this Candy Plus block and I particularly like your version! The indigo fabric reminds me of some hoarded, no saved hand dyed fabric from Julie at Pink Doxies I could use for one. Getting excited for the hop! I love your version of the Candy Plus! Those blues are awesome! Gorgeous fabrics and your piecing is so precise and perfect. Happy Stitching!